Meets NFHS/NCAA/NOCSAE standards. HeatGear fabric keeps your hands cool, dry & light. Material wicks sweat & dries really fast. Custom fit closure system. Super-sticky Armour GrabTack palm for maximum catchability. Seamless, one-piece palm. Speed grip silicone palm. Lightweight flexible back of hand. Machine Washable and Dryable. Meets SFIA specification for NFHS/NCAA play. 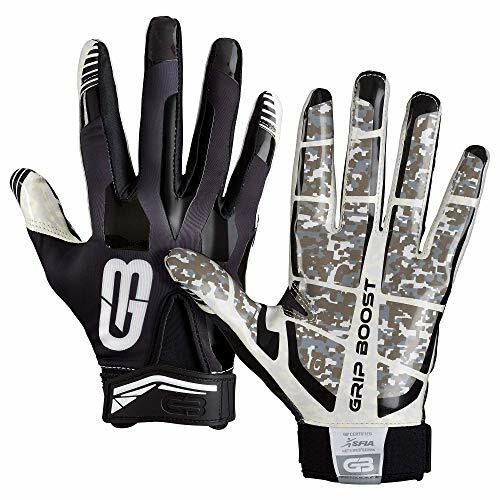 Grip Boost Stealth Pro Elite Football Gloves are a fierce new competitor on the field. Dissatisfied with the problems posed by available brand and models, pro athletes and inspired scientists huddled up and put their wisdom and expertise together to formulate new solutions and provide advanced technology to step your game up. 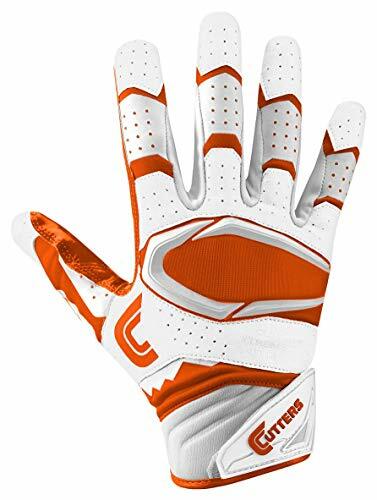 A formula conceptualized through a blend of passion for both performance and science, these football gloves provide the best grip for professional athletes, youth football gloves, and high school football players. Available for all players, Grip Boost offers adult and kids football gloves. A thin polymer layer offers ease of mobility while providing just the right friction to grip and catch the ball with ease. These durable gloves with support in all the right places provide enhanced performance game after game. 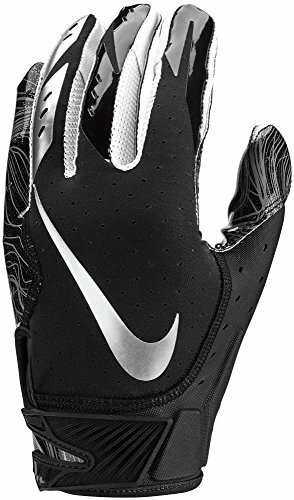 Compression material with a large gusset creates a fit comparable to custom football gloves. 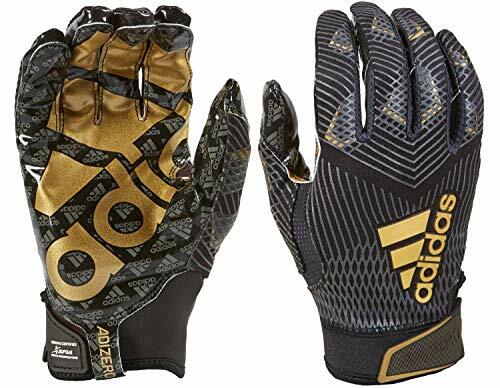 The best football gloves for any weather, this advanced polymerization technology provides the #1 grip in football. Tired of buying new gloves every few games because the tack wears out? Our proprietary grip boost gel formula can be re-applied to make the gloves brand new without leaving a mess on the football, the gloves, or your clothing. 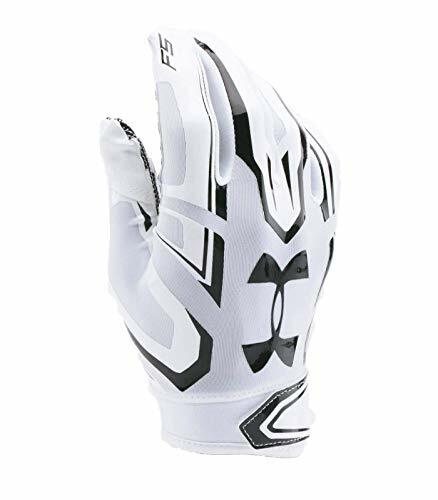 Lightweight material provides comfort and allows for responsive grip and ball feel in these cool football gloves that are light enough to keep your hands moisture-free even in hot and humid temperatures. 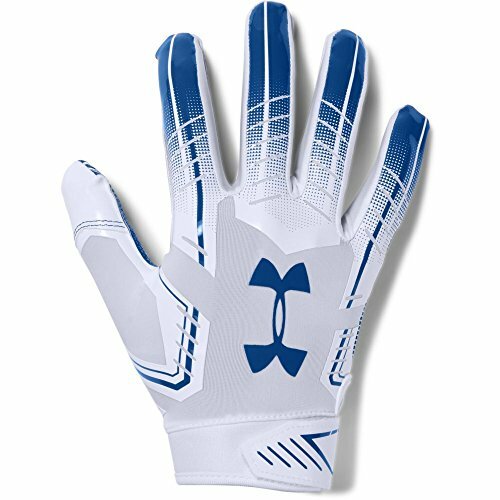 IMPROVED GRIP: This sticky football gloves has the right amount of tacky grip to enhance every play. With our proprietary formula grip boost football glove grip made from crab shell. This unique layer is made with advanced suspended polymerization technology that provides the #1 grip in football performance gear. While other gloves lose grip after a couple of games, a quick application of grip boost football glove grip gel on these durable gloves will keep performing game after game. BREATHABLE VENTILATION: Light enough to keep your hands moisture-free in hot and humid temperatures so you can focus on your game. This football glove design was crafted by analyzing the flaws in other models to address issues that inhibit optimal performance. A better feel and thin design offers responsive performance that puts you in control and enhances your skills. 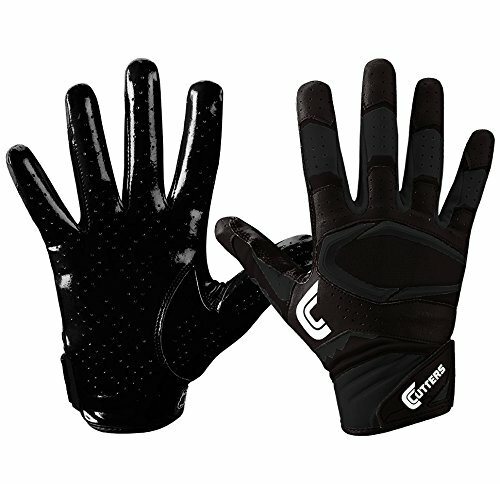 ADJUSTABLE FOR PERFECT FIT: The back-of-hand has a unique compression material that is designed to conform to the contour of your hand, with a large gusset to provide a custom fit football glove. 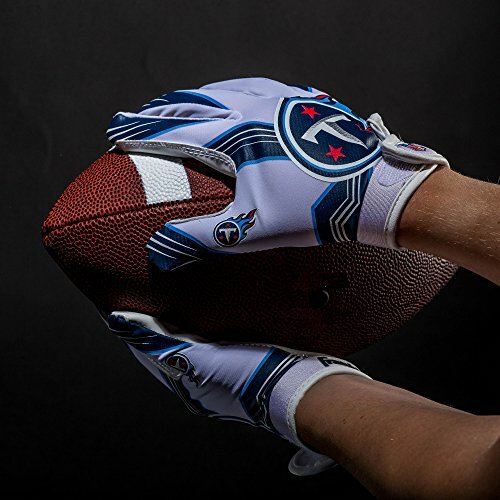 Grip Boost Stealth Pro Elite Football Gloves fit like a second skin. They're not bulky or stiff. With maneuverability, they're so stealth you can forget you're wearing a glove and focus on the game. Lock down the field and own the game, play-by-play. ALL WEATHER: Grip Boost Football Glove Gel is specially formulated to react and stick in any weather. Play like the pros, rain-or-shine. 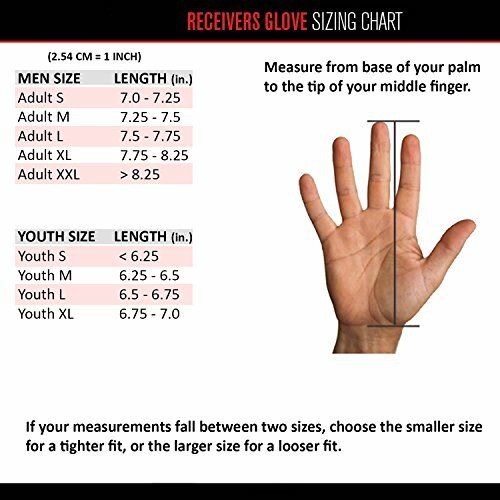 These football receiver gloves mens and youth are perfect for bringing in a clean catch without fumble. Confidence in all conditions when you need to pull it in to secure the play. COMFORTABLE FEEL: Keep control with precision thanks to the thin, barely-there feel material with grip and support when you need it most. Moisture-wicking and ventilation prevent chafing and reduce distraction. These receiver gloves offer optimal function that's fit for the pros, designed by the pros, yet perfect for every player. Get the competitive edge that secures the ball. 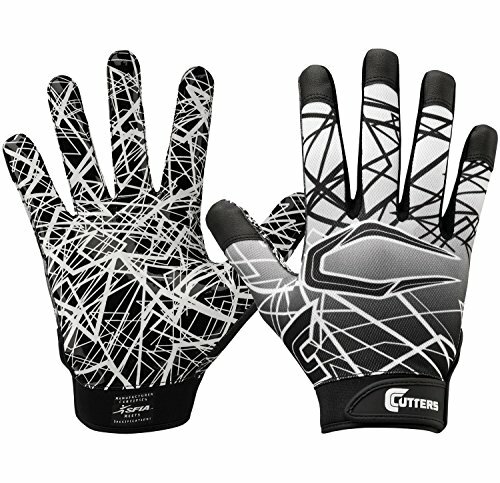 Cutters Rev Pro Receiver Glove is the perfect combination of performance, fit and durability. Made with C-TACK, a Cutters exclusive, this innovation not only creates a strong grip, but a permanent grip that is self restoring and will perform in all weather conditions. Back of hand is lightweight and flexible with added synthetic panels for more support, form fit and durability. Extended C-TACK wrist increases grip coverage. Recharge the grip by simply wiping with a damp cloth or machine washing. Machine washable and dryable. Meets NOCSAE Standards. Unveil your new secret weapon: C-TACK gripping technology. Cutters is all about The Grip - so we built it into the material, not on top of it. 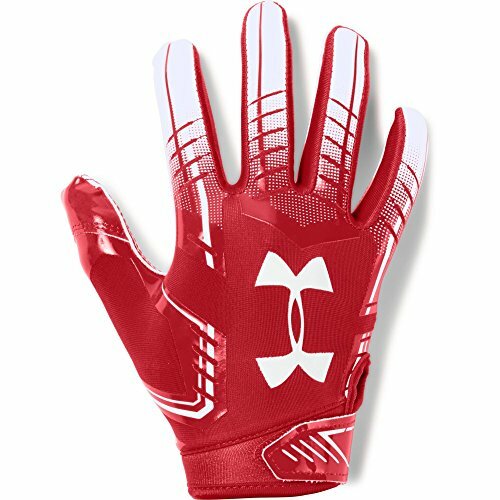 Locked in and ready to grab and go - C-TACK receiver gloves creates a powerful grip throughout the game so you always leave with the ball. REV-TACK works together with C-TACK to create your perfect game. REV-TACK Recharge patented technology allows you to reset your gloves to maximum performance mid-game. Wipe the palm of your glove with a moist cloth to remove dirt and restore the grip. Designed with different layers for increased performance. Each section of these football gloves enhanced your game. Note - if you need an adult xs size, consider sizing down to a Youth Large. Please note: Youth gloves have black palms. 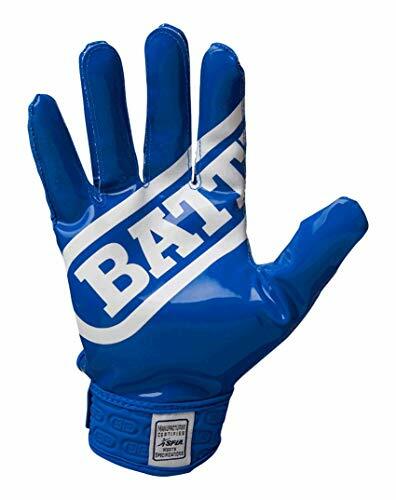 Battle Ultra-Stick football gloves are made for football players who play hard and keep reaching. That s why we design them with newly reinforced stitching and wear points. And it s why we stand by our product with the only 90-Day durability guarantee on the market. Because as football parents ourselves, we get it. Made with PerfectFit breathable material and UltraTack palm that takes you right to the legal stick limit. The proof is in your hands. Super grip silicone palm for excellent grip. Lightweight and breathable back of hand. Hook and loop wrist closure for secure fit. Adidas ADIZERO 8. 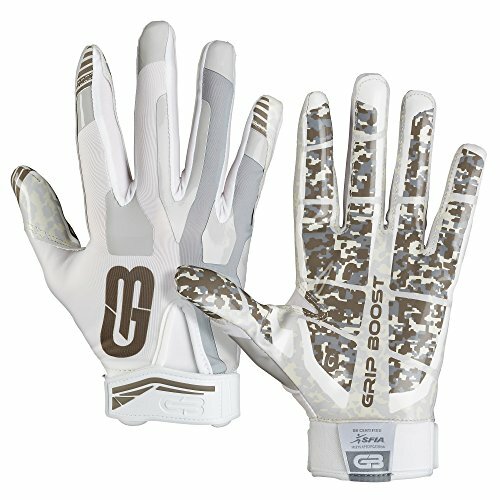 0 receiver's gloves are designed with a GRIPTACK palm for superior catchability and TECHFIT multidirectional fabric for a great fit. 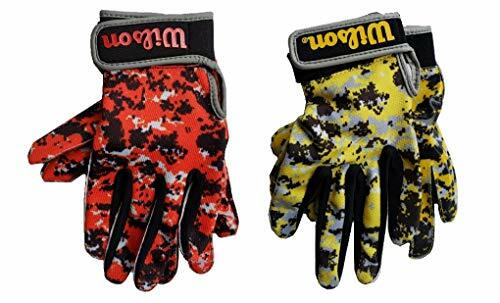 Make the big catch with these fantastic gloves! Adidas exclusive GRIPTACK palm technology provides unparalleled performance in all weather conditions. Adidas exclusive CLIMA-COOL technology keeps you cool and dry when it counts. 8. 0 Prime Knit delivers optimal structure, support, and performance for the elite athlete. Injection molded rubber tab provides a secure lockdown with no snag or slip hook and loop closure for a custom fit. 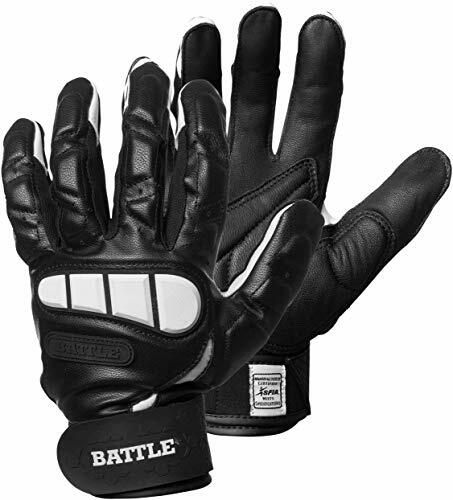 Our Battle Lineman Adult Football Gloves are designed for the players who deliver the most repetitive hits on the field. Sturdy, durable padding protects the hands and fingers from high impact and hyper-extension.